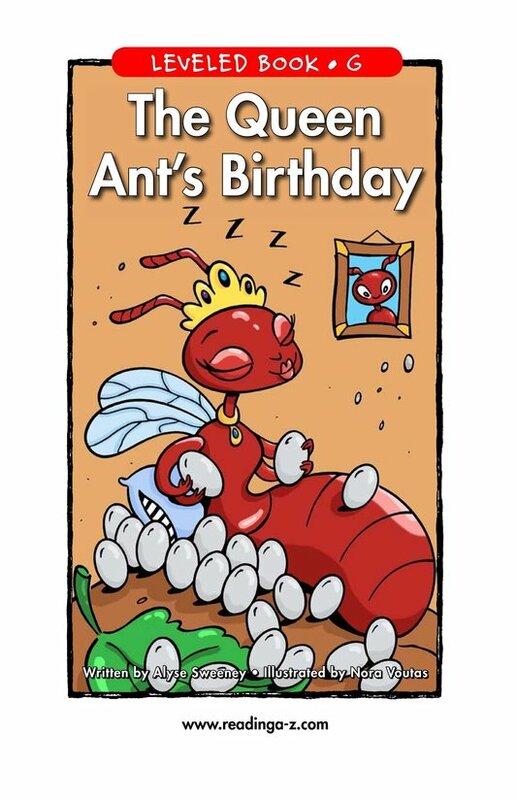 It's the queen ant's birthday! 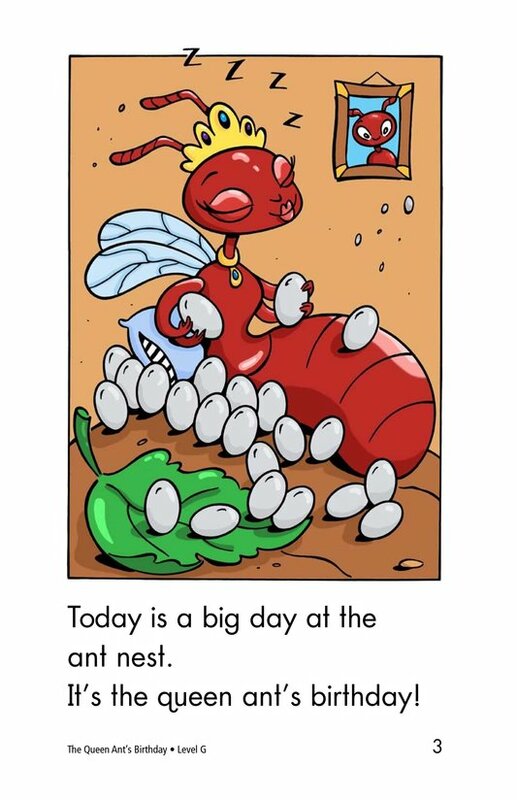 What a big day for the ant nest. 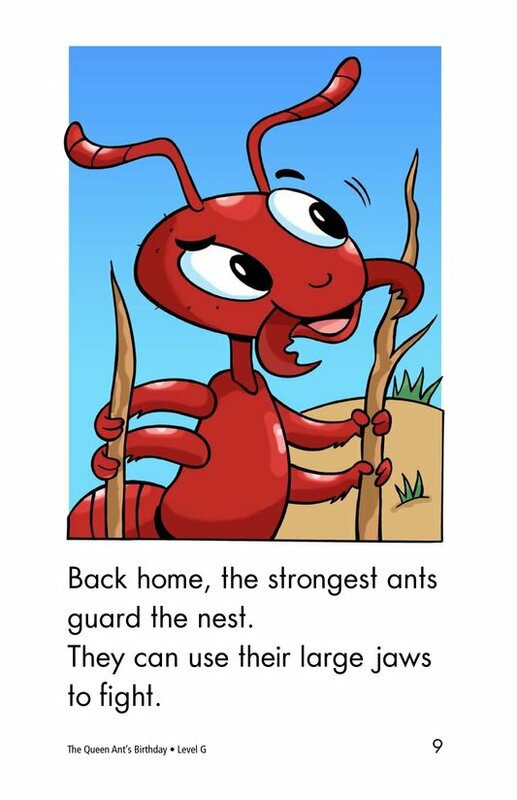 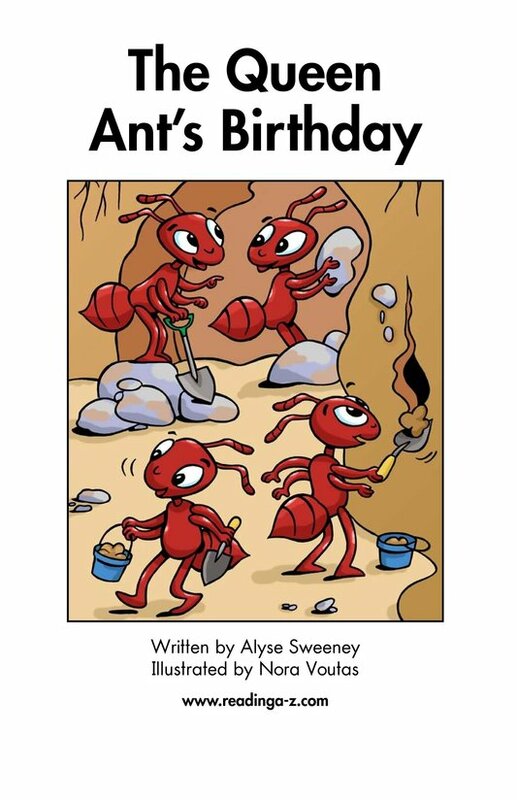 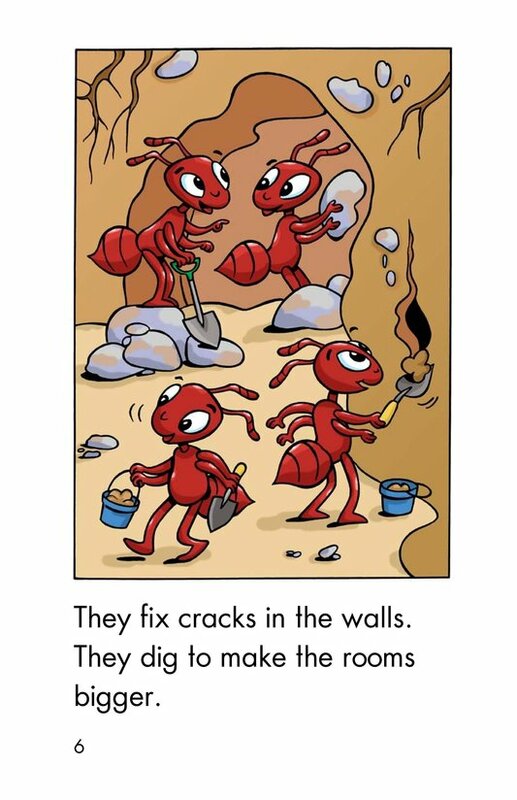 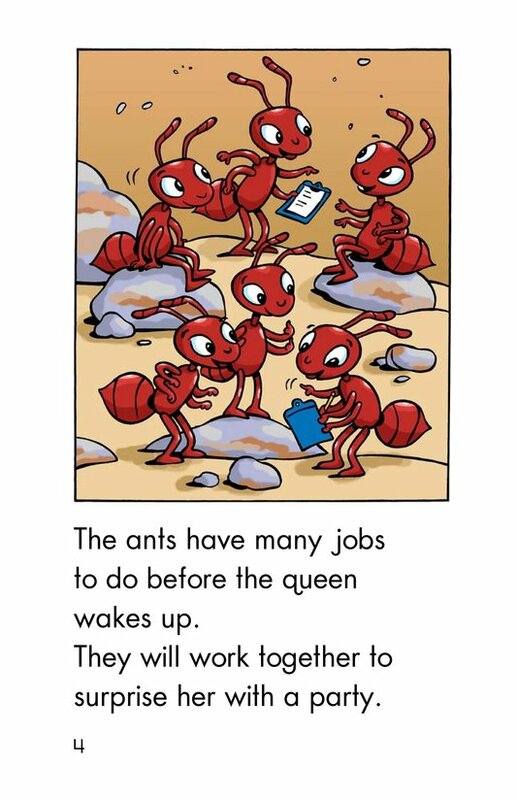 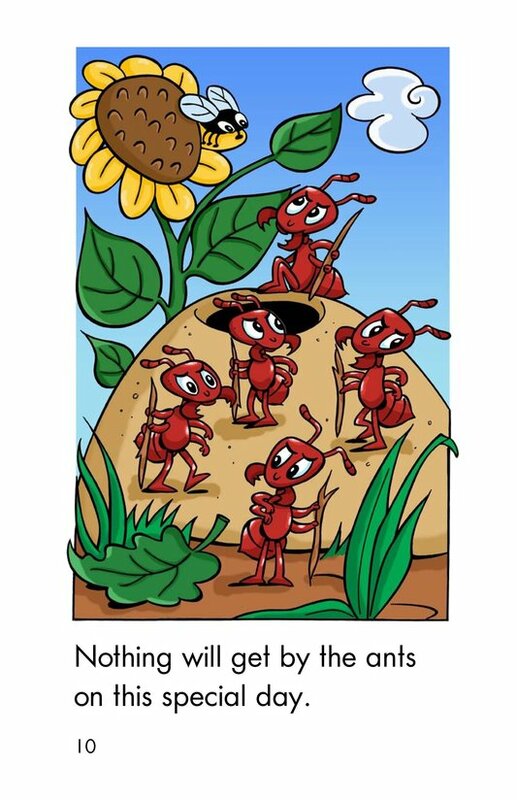 The ants have many jobs to do before the queen ant wakes up from her nap. 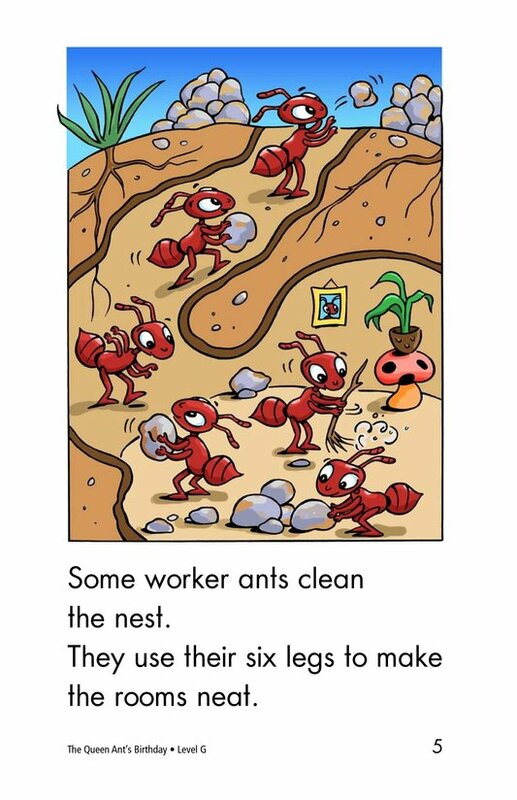 Everyone will have to work together to be ready for the party. 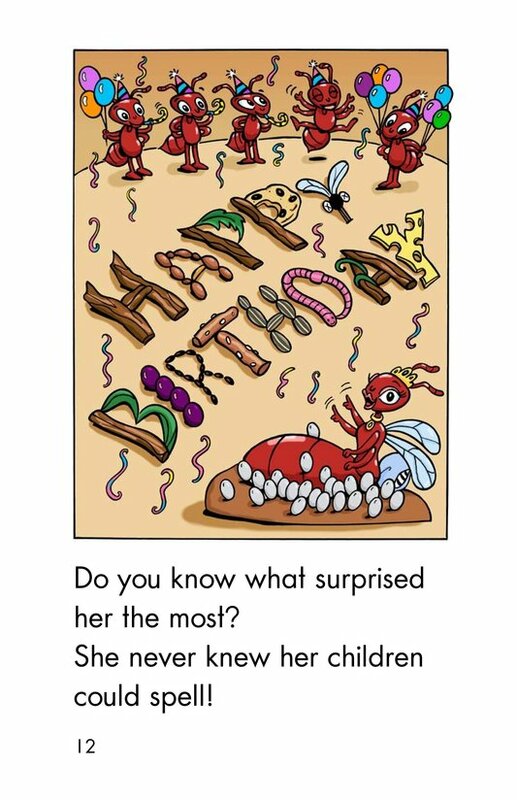 Will the queen ant be surprised? 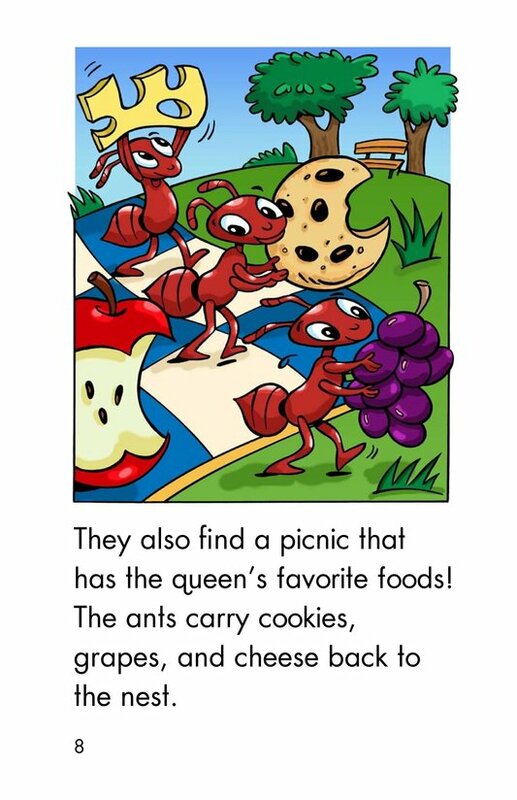 Students will have the opportunity to practice visualizing and distinguishing fantasy from reality as they read this story. 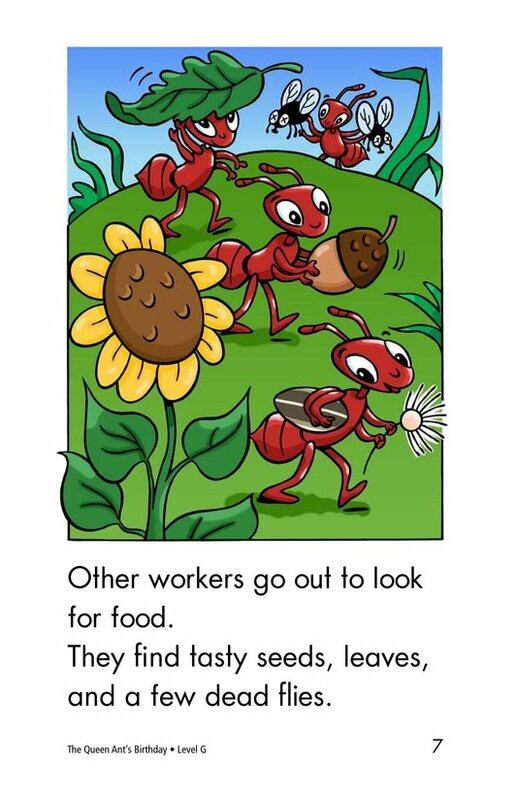 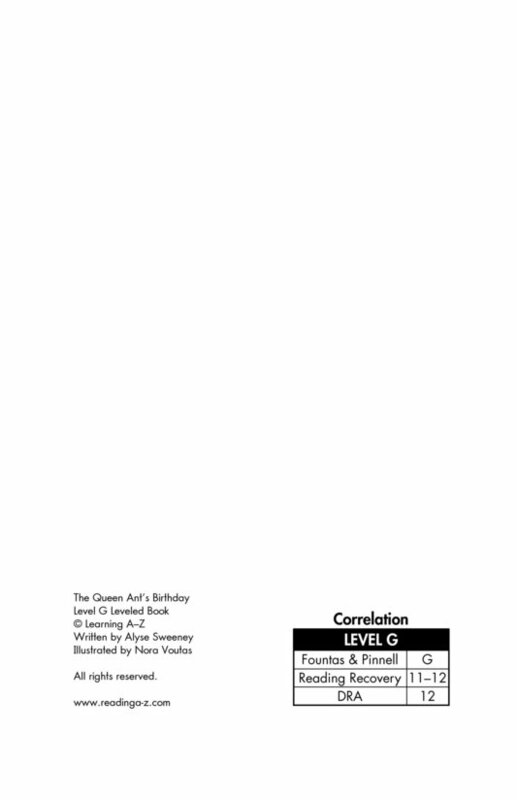 Detailed illustrations support readers.